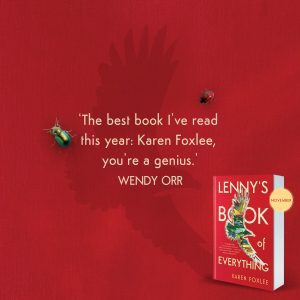 Masterpiece, exquisite, compelling, rare, classic, perfect, tender, piercing, humorous, uplifting… these are just some of the words that have been used to try and describe Lenny’s Book of Everything. Last week we shared some of the incredible responses we’ve received from children for the book, and while it is written for those aged 10 and up, Karen Foxlee’s book is having a profound effect on adult readers too. Our Children’s & YA team are massive fans, with publisher Anna McFarlane comparing its impact to when she published The Book Thief! 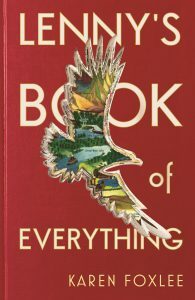 Lenny’s Book of Everything is a book about knowledge, about love, loss and grief, and a story about the inevitability of death. It sounds sad and it is sad, but Lenny’s Book of Everything raises spirits while it breaks hearts. It’s achingly powerful and beautiful, and reading it reminded me how I felt when I first read and acquired The Book Thief. This is a story with a huge heart, and a writer with a deep understanding of humanity. Beautifully conceived and brilliantly executed, I think Lenny’s Book of Everything is a masterpiece. This is a wonder of a book … the writing is exquisite and full of emotion, and the characters so rich and so compelling. Never have I felt so emotionally invested in a story as I have with Lenny’s Book of Everything. Move aside The Boy in the Striped Pyjamas. Move aside Wonder. Lenny’s Book of Everything is here. Lenny is rare and incredibly special. A story full of love and sadness, optimism, curiosity, kindness, humour, generosity, friendship, yearnings, day-to-day heroism, innocence and imagination … It deserves to become a classic. One of the most perfect books I’ve ever read. A beautiful read. I savoured every word and loved every character … such a big heart and not a beat out of place. 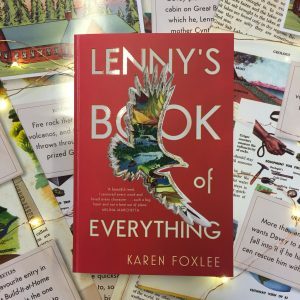 Lenny’s Book of Everything is a tough, tender and beautiful piece of work that left me aching. You come to care so deeply for the characters that you want to move into their little flat and look after them. They are so alive, so full of heart, curiosity and imagination, that even when tragedy comes to stay, their relationships are illuminated by joy. Told with the piercing honesty and clarity of a child, this story holds life lessons for everyone. W is for Wonderful, and that is Lenny’s Book. Unforgettable. The story of Lenore’s younger brother dying of a rare form of gigantism, intertwined with her own longing to find her father, could have been heartrendingly grim. Though I defy you to read it without tears, Lenny’s Book of Everything is warm, humorous, absolutely real, and above all, uplifting. It’s also the best book I’ve read this year: Karen Foxlee, you’re a genius. This bittersweet tale about heartbreak and healing has a sense of whimsy that never feels forced. Foxlee’s writing is brimming with perfectly constructed moments that merge into a truly sensational, heart-wrenching read. This is the kind of book that makes a reader feel grateful it exists. 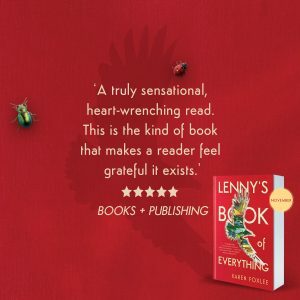 Lenny’s Book of Everything is my pick for Children’s Book of the Year … and the great news is that, like Wonder, it’s not just for children. I haven’t cried so hard in a book EVER!! It broke my heart and put it back together again. Your people are right to be excited. Read it, loved it, had a weep. Lenny is a terrific character but, oh, that Davey … Foxlee is a really beautiful writer. It is truly my Book of the Year. It’s extraordinary and of course I cried and cried. The characters are all wonderful and the writing is perfect. There is such sadness and joy and love in the book. I’m recommending it to everyone I know. I was completely captivated by it, and unable to predict the course of the story, which is always cause for immense joy in my reading. There are so many elements of this book that I wholeheartedly love: the characters, the encyclopedias and their effects on the children… oh, EVERYTHING! 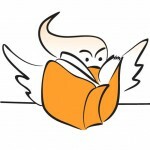 This is the sort of story that lingers ever after in your mind; the sort of book that in 30 years’ time, bookshop customers will open their enquiry with “I want a copy of a book I read when I was a kid; can’t recall the exact title but I absolutely adored it and read it over and over again…”. I honestly love this one and am already anticipating its bestseller status both in the shop, and in our Summer Reading Guide, in which I plan for it to eclipse sales of the 200 or so other books ─ adults’ and kids’. Easy peasy! I loved everything about this book: the use of language; the way the story revolves around the letters of the alphabet as the Burrell’s Build-it-at-Home Encyclopedia set appears in the mailbox; the complex and layered grown-up issues viewed through the simplistic prism of a child. It is moving, emotional and quite simply stunning; and I confess to a tear on the last page. The target audience is a reader aged 10+, but I defy anyone of any age not to be affected by the story. For those that were mesmerised by R J Palacio’s Wonder, this one is definitely next on the “must read” pile. I can’t wait to put this into the hands of readers, young and old.